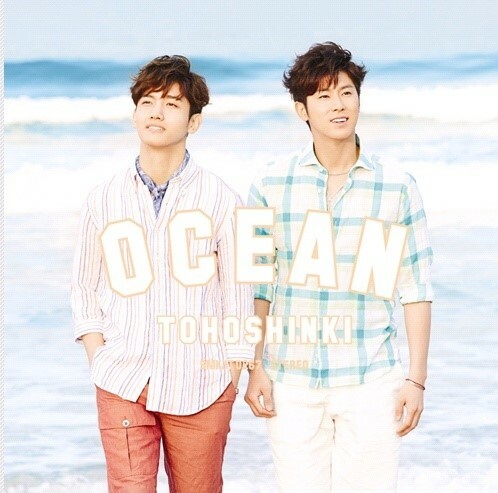 TVXQ’s latest Japanese single ‘OCEAN’ has been released in Korea. With a Korean release date of June 28th, TVXQ’s highly-popular Japanese single has been released as a CD version and a CD+DVD version. The title song ‘OCEAN’ is an upbeat and addictive dance track that goes well with the Summer season and has already been chosen as the theme song of four different programs. The other track ‘Wedding Dress’ will gift Summer brides with beautiful lyrics and has been chosen as the main theme of the BeeTV drama ‘The Greatest Proposal’. Meanwhile, TVXQ will be holding the finale of their Japanese live tour at the Yokohama Nissan Stadium on the 17th and 18th of August.